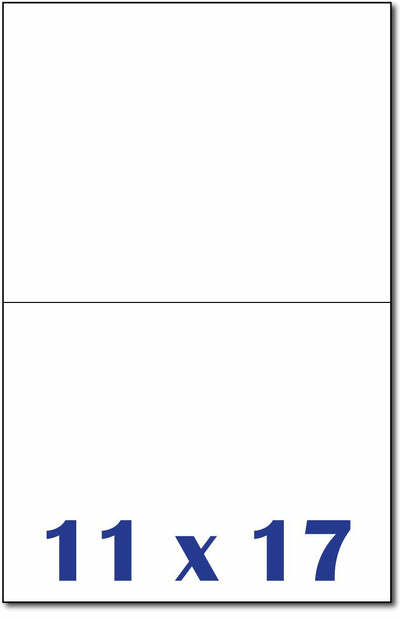 Folds to -8 1/2" x 11"
Sheet Measures - 11" X 17"
White Bi-fold Invitations. Use our bi-fold cards for wedding invitations, birthday cards, invitations, announcements or greeting cards. These cards are made from 65lb (176 gsm) cover 96 brightness card stock. Inkjet laser and copier compatible. Each card comes scored and measures 8 1/2" x 11" when folded.